Contact me and let's discuss your situation. Every case is different, and I promise you nothing except an objective review of your case, and my hard work on your behalf if I take your case. Since 1998, I have helped Arizona businesses and individuals solve their civil disputes. I have helped landlords, contractors, HOAs and injury victims get damage awards. 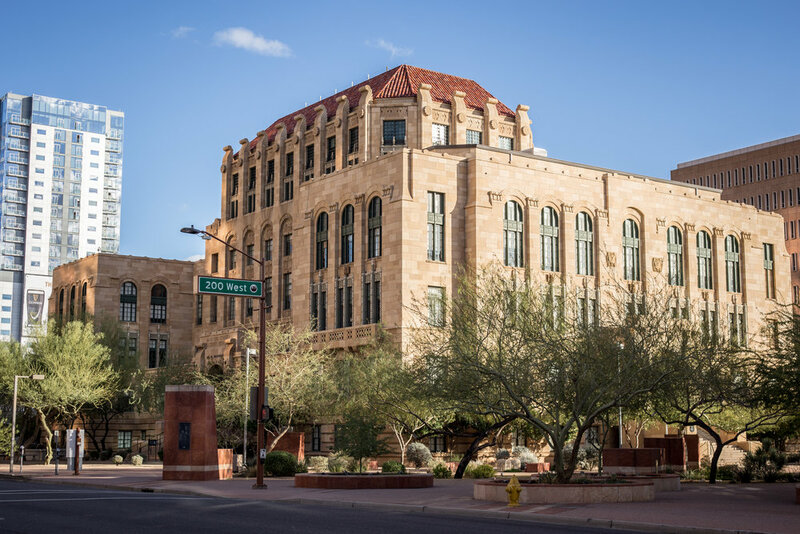 I have protected Arizona businesses from untenable claims. represented a a landlord whose tenant destroyed a rental house by turning the kitchen into a laundry room. Won at trial and on appeal. defeated a quiet title/reimbursement claim brought by the estranged California spouse of an Arizona resident against his personal and business partner. Defeated some claims on motion, won the remainder at trial, prevailed on appeal (Decision Order). Obtained $1mm wrongful death judgment for the daughter of a murder victim. Recovered the property that was the apparent motive for the crime. Won a three day trial on an employment claim after a 20 minute jury deliberation. Settled a business ownership fight with a settlement where my senior citizen clients were paid. They expected to be writing a five-figure check, but instead received one. Helped their son escape a default judgment by an HOA. As it turns out, the HOA had not properly served him. I have been there to get the best resolution I can for my clients. More important to me personally is reaching the right resolution and advocating for claims I believe in. I have parted ways with clients who misrepresented the facts, or their actions. I routinely decline cases when the merits aren’t there, or when the cost-benefit analysis is unreasonably skewed toward cost.. In a representation, my goal is to get to a resolution as efficiently as possible. If it can't be resolved short of trial, fine. In civil trials, I have been very successful.If we can get it wrapped up sooner, through negotiation, mediation, or arbitration, so much the better. For more than twenty years, my role has been to pick a side and guide it to victory. From client interviews, to digging through thousands of documents in hundreds of banker’s boxes to depositions to motions to trials and appeals, I have walked every step of civil litigation. The reward for all the hard work is perspective and keener discernment. I can usually tell the wheat from the chaff, the merits from the puffery, the conviction of defending a principle from the protection of a fragile ego. The Court demands that I make myself available for arbitration of monetary disputes.I have found this role to be more rewarding than the advocacy of one position over another. With the hope that I am dispensing justice, applied with wisdom, arbitrating cases allows me to help all the people in the room solve the problem that has them at odds. It’s not the power to decide a case that holds the charm - in the Superior Court context, an unhappy party can simply appeal. My decisions only stick if the parties accept it. Every time my decision stands (or the parties have that epiphany about their case and settle), it is an affirmation for me that I did the job of impartial decision rendering well and fairly. E-mail is the best option. USE OF THIS SITE OR CONTACTING THE FIRM OR ITS ATTORNEY BY EMAIL DOES NOT CREATE AN ATTORNEY-CLIENT RELATIONSHIP. DO NOT SEND CONFIDENTIAL INFORMATION VIA THIS WEBSITE. THIS SITE ADDRESSES GENERAL LEGAL ISSUES. IT DOES NOT DISPENSE LEGAL ADVICE. IT IS IN NO WAY TAILORED TO YOUR PARTICULAR SITUATION. FOR LEGAL ADVICE ABOUT A SPECIFIC PROBLEM, SPEAK TO A LAWYER LICENSED TO PRACTICE IN YOUR JURISDICTION. THIS SITE DOES NOT PURPORT TO ADDRESS LEGAL ISSUES ANYWHERE EXCEPT ARIZONA. USE OF THIS SITE OR CONTACTING THE FIRM OR ANY ATTORNEY BY EMAIL DOES NOT CREATE AN ATTORNEY-CLIENT RELATIONSHIP. DO NOT SEND CONFIDENTIAL INFORMATION VIA THIS WEBSITE.